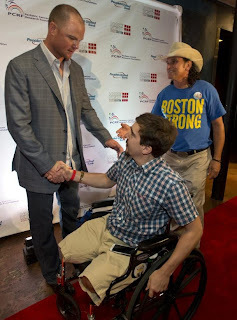 Jon with Jeff Bauman (front) and Carlos Arredondo, anti-war activist . Jon Lester and a number of local celeberties and athletes got together for a good cause - fighting kids cancer, according to Boston.com. 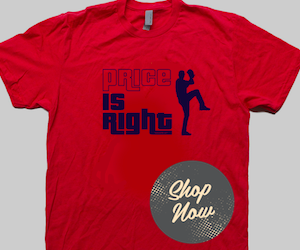 Specifically, the Pediatric Cancer Research Foundation. Jon was joined by a few fellow members (Clay Bucholz, Ryan Dempster and John Lackey) of the Red Sox, Olympic Gold Medalist Aly Raisman, comedian Lenny Clarke, and Bruins forward Shawn Thornton, as well as Jeff Bauman, who survived the Boston Marathon Bombings. The event was hosted at the House of Blues and featured a "Hollywood Squares" theme, according to Boston.com. Fighting cancer is something that is near and dear to Lester, who of course beat cancer in 2006, and came back for a successful 2007 season, capped off by a World Series win. One of the highlights of Lester's recovery was Jordan Leandre writing a letter of encouragement to Lester and then getting to run the bases at Fenway Park. 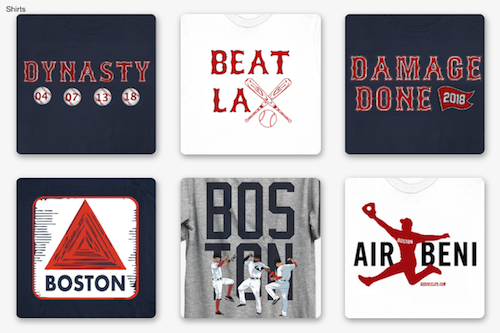 Lester has been winning back the hearts and minds of Red Sox Nation with his performance on the field as of late, but this shows that he can win the hearts and minds of Kid Nation off the field.